Ramy Essam: The Singer Of The Egyptian Revolution He put anti-Mubarak protesters' chants to music and became a sensation in Tahrir Square and on YouTube. But when soldiers were clearing out the square and jailing dissidents, he was just one of the crowd. Ramy Essam performs his anti-Mubarak protest song "Leave" in Tahrir Square. When we met Ramy Essam, the singer of the Egyptian revolution was lying face down on the same twin bed he slept in as a child. Musician Ramy Essam, 23, says he was tortured while under the custody of the Egyptian military after being rounded up with several other protesters in Tahrir Square on March 9. His shirt was off, and the blanket was pulled down halfway. He didn't want anything touching the red gashes and welts all over his back. Essam was a little-known young guitarist until he gained fame by putting his fellow Egyptians' protest chants to music. He performed one of those songs, called "Leave," about former President Hosni Mubarak, on stage at Tahrir Square with thousands singing along, and video of the show became a hit on YouTube. But his celebrity did not protect him when, after playing a concert in Cairo six days ago, he stopped by Tahrir Square. Without warning, the army stormed the square, ripping down tents and arresting more than 100 people, including Essam. He says men in army uniforms dragged him to the Egyptian National Museum, which had become a security headquarters. He says the men took him to a courtyard, stripped him to his shorts, and beat him. An interpreter rendering Essam's Arabic into English says, "there was a soldier who jumped up in the air and (came) down on his head." Essam, also through the interpreter, says the men beat him with a stick and a metal rod, and applied electricity "all over his body." By the time the army released him, he could barely walk. 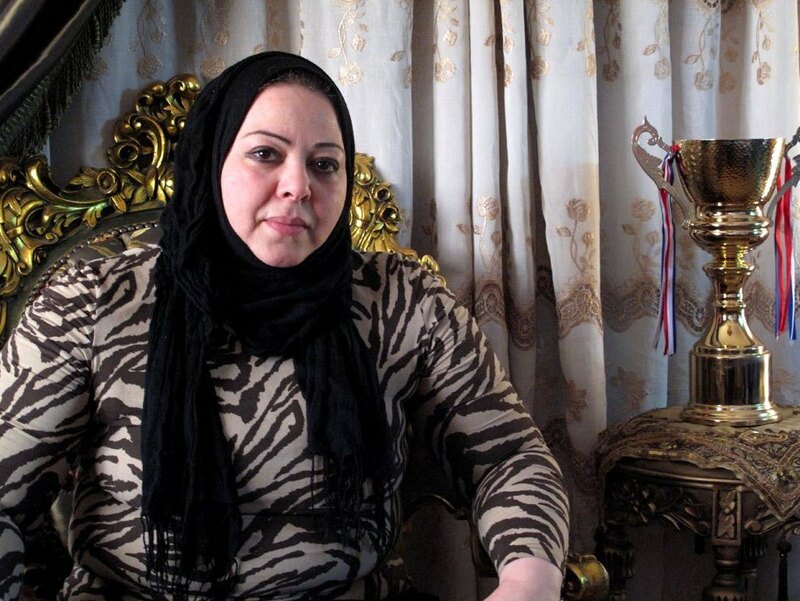 Essam's mother, Iman El-Minshawi, says she was terrified at first that her son was taking such an active role in the revolution, but now thinks of him as a hero. 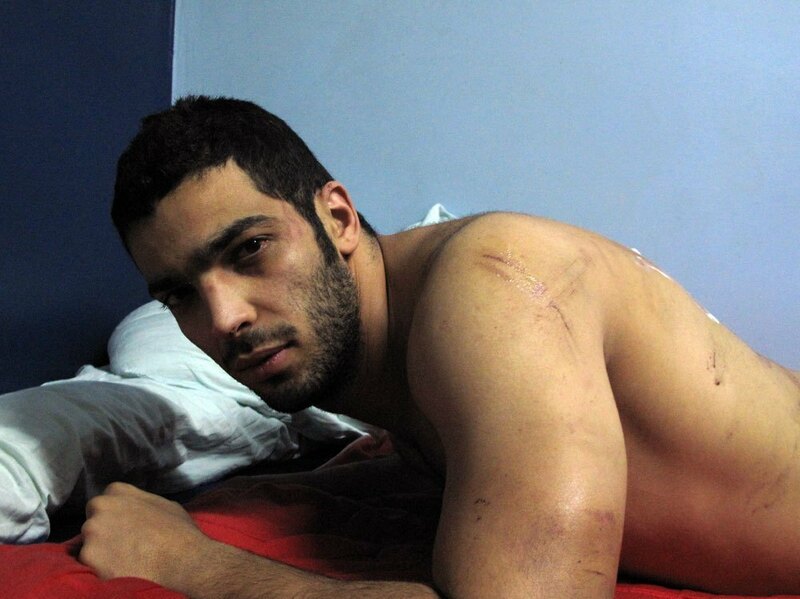 But even as he recuperates from his injuries, Essam refuses to condemn the army as a whole. He says he still believes that there are honest people who will investigate what happened. As Essam speaks with us, the family apartment is filled with friends, smoking cigarettes and waiting to help if needed. His mother is in the kitchen, cooking a huge pot of macaroni. Visitors smile when Ramy and his brother Shady recall how their mother feared for them when they joined the revolution. "In the beginning she was very afraid," they say through the interpreter. "She said I will come after you. But after that we have said again and again, we are okay, mother. You have borne men, not just young people, and we can do it." We ask if, when he got hurt, his mother said, "I told you so." They laugh and say yes. Even in pain, Ramy Essam smiles.